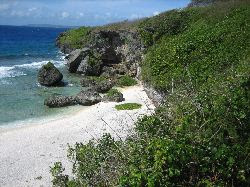 A short but steep descent down high stairs brings you to the isolated Ladder Beach. 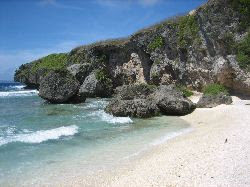 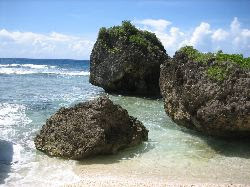 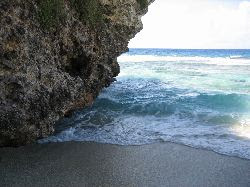 This is one of my favorite beaches in Saipan. 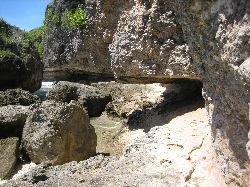 It's called Ladder Beach because before the stairs were built, there was a ladder. 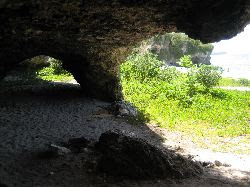 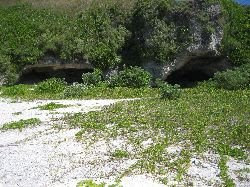 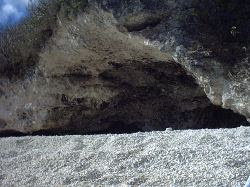 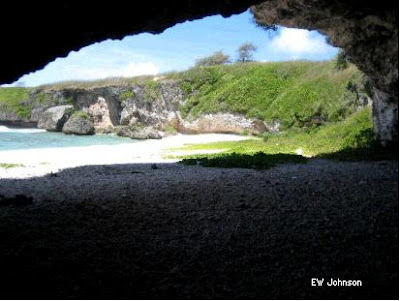 The beach is surrounded on three sides by cliffs with large opening caves at the sand level. 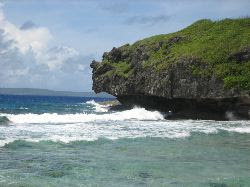 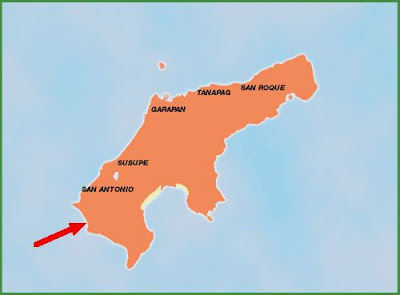 The waves are a little larger here compared to other Saipan beaches, but still far from any surfing possibilities. 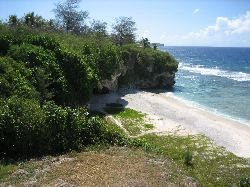 Ladder Beach from the plane. 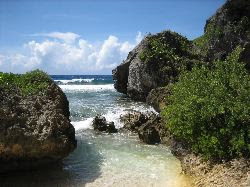 WWII Japanese AA Gun still stands watch. 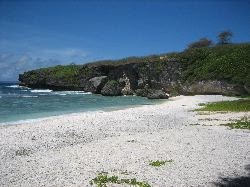 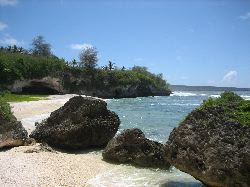 I visited this beach many times during the 90's...its raw natural beauty and relative seclusion are fantastic!